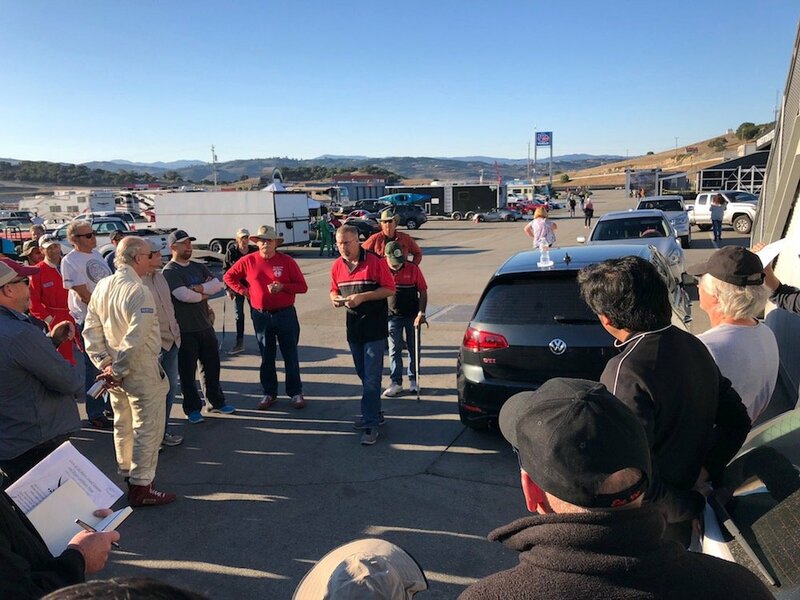 AROSC makes its trek up north to Laguna Seca about once every two years. Sometimes the interval is longer. 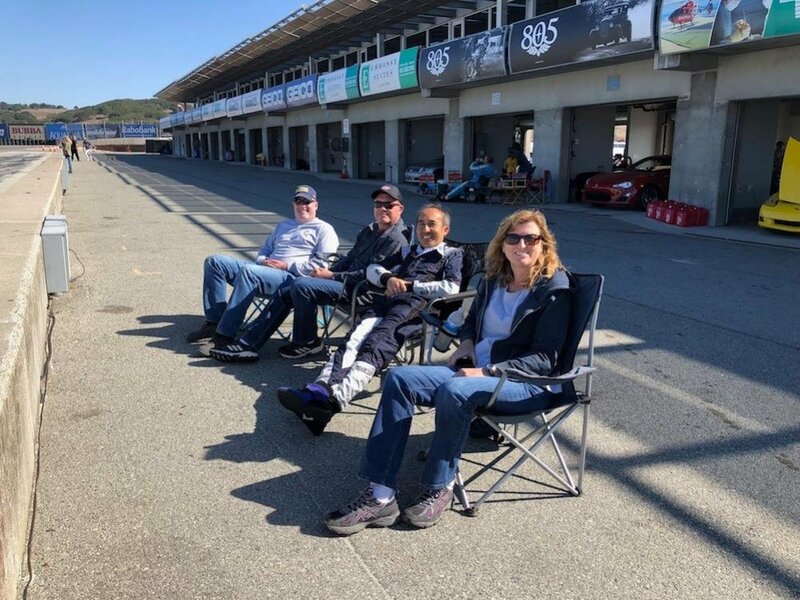 But one thing is constant: Laguna Seca always provides a great backdrop for AROSC events! The track's facilities are very good and the track complexity is very challenging. As of today (June 9th), there's a good amount of signups already signaling the eagerness of the membership to drive on this iconic track. And better yet, there are actually a large number of Alfas already signed up! I'll be encouraging all of my track-day friends to come out and participate in this event and hope y'all will do the same. The AROSC crew holds the safest and organized events. Help with wheels from San Diego? I'm very excited about this event. I've been to Laguna Seca many times with PCA and Allen Berg Racing School, but this will be my first time with the AROCSD. 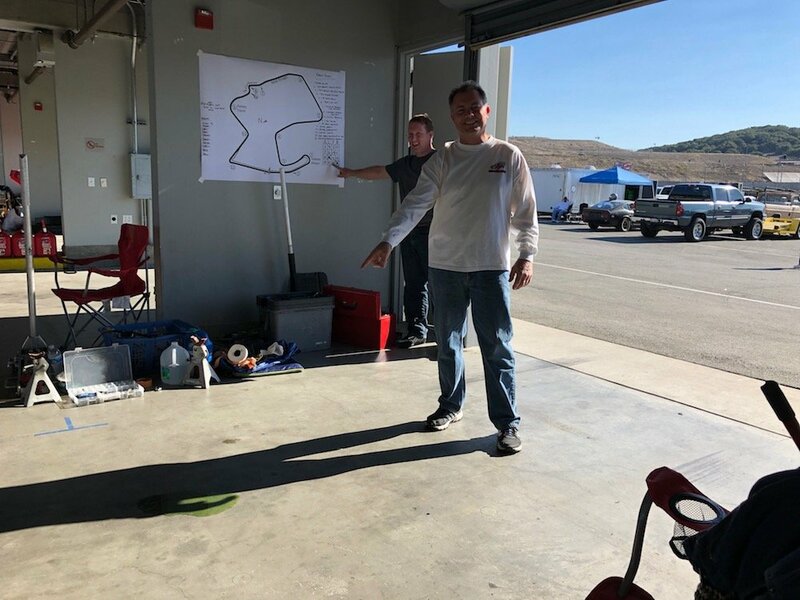 I am coming up from San Diego and would love to find someone going with a trailer, motorhome, truck or other vehicle that could help me get a set of wheels up to the track for Sunday. I can deliver and retrieve them any time and anywhere thats convenient before and after the event. Willing to go as far north as Orange County. Edit - Found a ride for my wheels! Thanks to everyone to PM'd me. WOW, It is looking to be quite a fun weekend. Over 100 cars entered, so far. 23 Alfa Romeos. We haven't had this many Alfas on the track since the 2012 40/50 Celebration at Willow Springs. There is still room for Alfas and Race. The fast group, TT2 is almost full, TT1 the slower and inexperienced drivers looks OK, for now. We even have 12 in the Lunchtime Intro Track Tour. I'll be there with my 240z. Unfortunately, my father and his 66 GTV won't make it. Dad (Art Russell) fell off his bicycle and broke his hip. He's in physical rehab making good progress. He's looking forward to driving at California Speedway in December. Last edited by Racer Z; 10-18-2018 at 04:49 PM. It is going to be a fun weekend. We are basically sold out. The Laurels Inn is out of rooms, hello Motel 6 ! The Time trial groups are closed/full. Intro Saturday has 16 drivers and is closed. 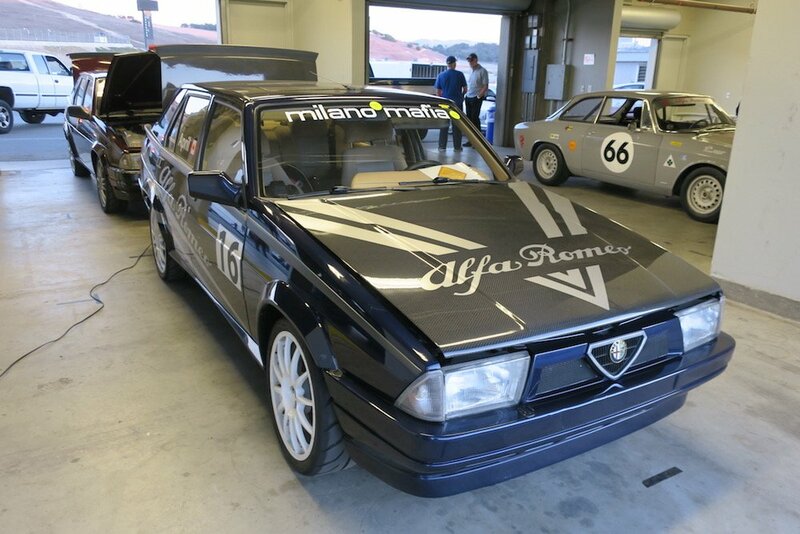 We have 25 Alfa Romeos in time trial, 4 of them Giulia Quads, 3 more Alfas in Race. I see Panoz, McLaren, BMW, Corvettes, 1 Cadillac, a million Miatas, a Radical, Mercedes. Porches of all types, vintage IMSA Mustang Cobra. If you are going to be there get there EARLY. Registration is at 7. We have over 120 people to get thru registration. First Drivers Meeting is at 8, first car on the track, Race, 9am. Last edited by mygtveloce; 02-22-2019 at 05:15 PM. Great collection! Even without an Alfa, you set an example for "true grit" track toy... and hauler! I daily my 4C, 32,000 miles now. The Giulia is the Garage Queen with a lowly 16,000 miles. Both have been tracked a few times. The 240z is my dedicated track car. Perhaps we'll see you at California Speedway in December. RacerZ - that's a great lift! Who makes it? What a great weekend! I had way too much fun. Weather was perfect, couldn't be any more perfect even if we had planned on it. Car ran great and I felt good out there on the track. Thanks Don and everybody else who helped put this event on. Perhaps we'll see you all at California Speedway in December. Echoing @Racer Z, once again the AROSC put together a fantastic weekend of fun and friends, and for those with faster cars ... good lap times! 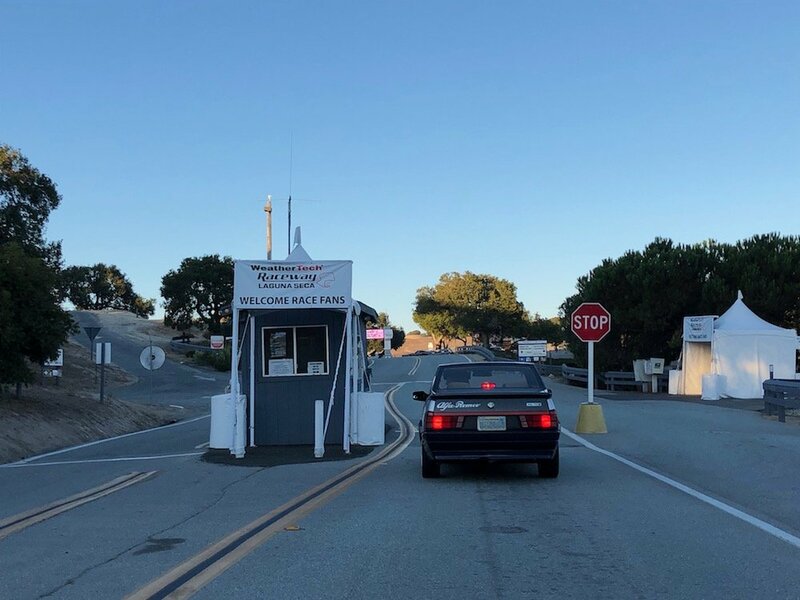 We arrived at Laguna Seca on Friday evening. Yup we're in the right place. and headed to dinner. 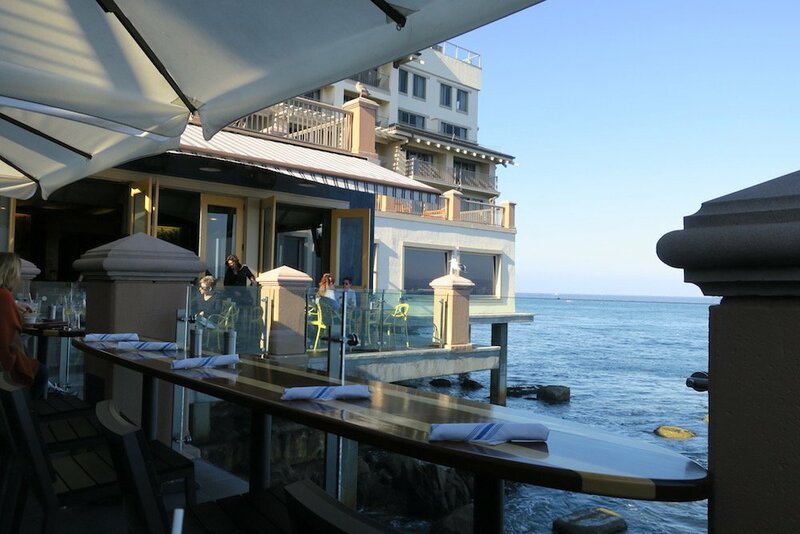 Monterey never disappoints this time of year. Next morning we were up bright and early. 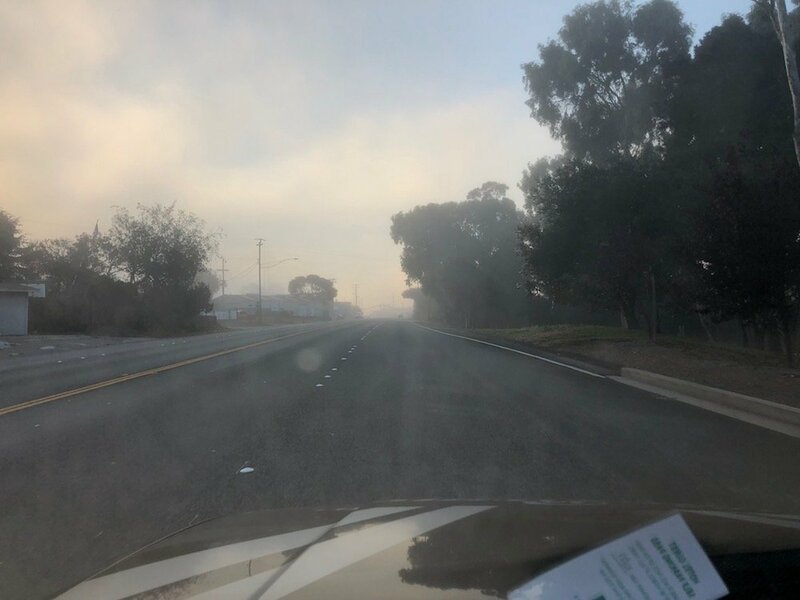 It was foggy at the coast. But the sky was clear at the track. Driver's meeting. Unfortunately, I had a misbehaving car, so it was time to wrench. Glad AROSC had these garages for rent. Some pictures from the garage area. We had a little bit of fun with the amount of wrenching and fixing we saw in the garages. A little game of Bingo was quickly organized. 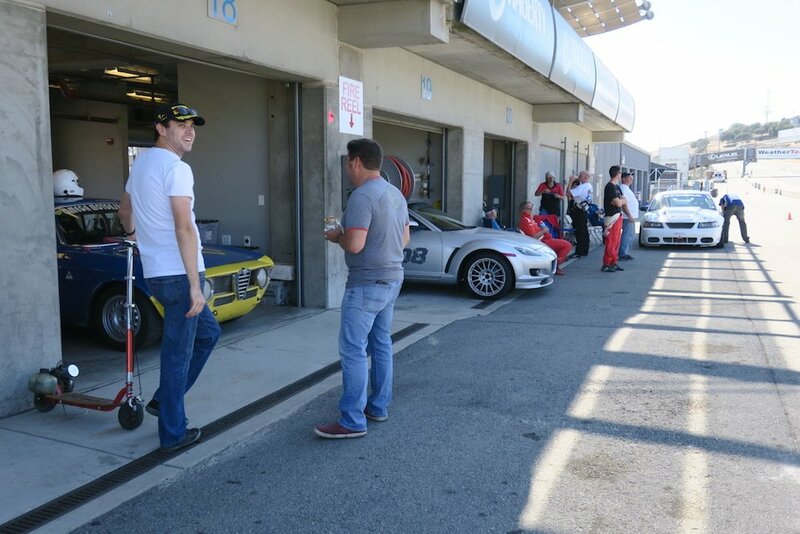 We had lots of time to catch up with fellow gearheads. 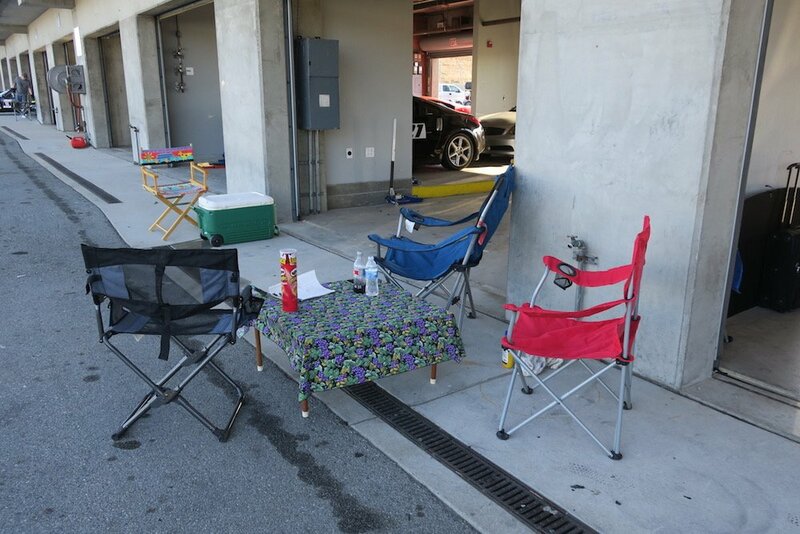 And there's something special about laying out the folding chairs and picnic tables trackside. There were some fun viewing of the exit of Turn 11.